RF connector Adapters are commonly used in applications requiring 2 dissimilar RF interfaces to be connected.Beyondoor offers a wide selection of within series and between series RF Adapters with Brass material. Such as SMA to SMA,SMA to MCX,SMA to TNC,SMA to BNC,SMA to N,SMA to CRC9,N to F,BNC to TNC,N to N, N to TNC etc.. Your connector adapter type and drawing? Please tell me your quantity of order?Our MOQ is 500pcs. Our lead-time is often 1-2 week. 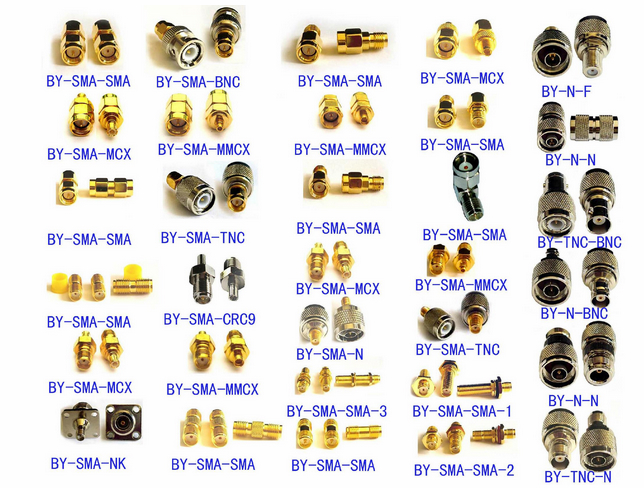 Professional manufacturer of RF connector adpater , Rohs,Reach and CE compliance. All products have been tested before put on market. If there are any quality problems of our connector adpater, you can get replacement or refund within one year.